The steps you take immediately following a fire are essential to limit further loss or damage to your home and property. That’s why you should always select a fire restoration company that offers 24-hour service and a rapid hour-or-less response time. Aaron’s Restoration has the experience and the equipment to assist you in the fire cleanup and restoration process, including complete smoke removal. When selecting a company to repair fire damage, choose a company that meets all of the above criteria and a company with a track record of proven success. 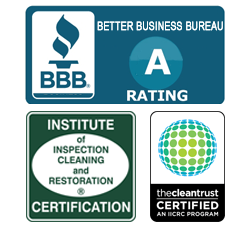 Aaron’s Restoration highly trained and experienced technicians use state of the art equipment and cleaning techniques for the best fire restoration service in the industry. And we are also fully licensed, insured and bonded. We are Michigan’s fire restoration experts. For fire and smoke damage make Aaron’s Restoration your first call for fast, thorough, expert service. Call Aaron’s Restoration 24/7 for all of your fire restoration needs.